Something indeed is going on here at the Mecum Auction in Monterey, California. Some of the prices we are seeing being paid for top quality collector cars here in Monterey this week are reminiscent of the pre-recession prices we saw at auctions back in 2007. This is the first time we have said this in over six years. 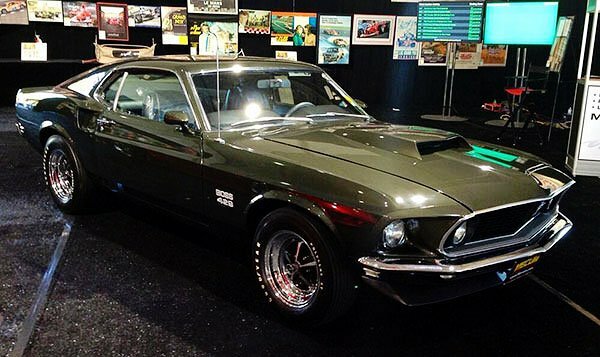 A 1969 Boss 429 Mustang was sold last night for $550,000. They say that is a record for Boss 429’s. True, this one is special. It has the rare original Jade paint and has only 902 miles on the odometer, said to be original. But this is a sale we may long remember. 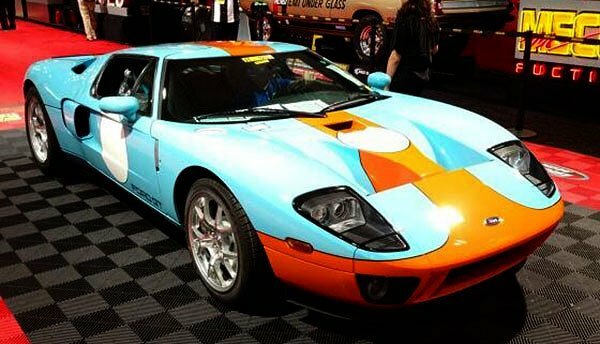 When the 2006 Ford GT Heritage Edition went across the auction block there were some eyebrows raised at the escalating bids for this truly rare car. The announcers noted that it was so pristine and untouched that it still had the factory seals on the hood. It had never been opened. Indeed it looked like the interior was still in the wrapper. The car sold for an incredible $377,500. 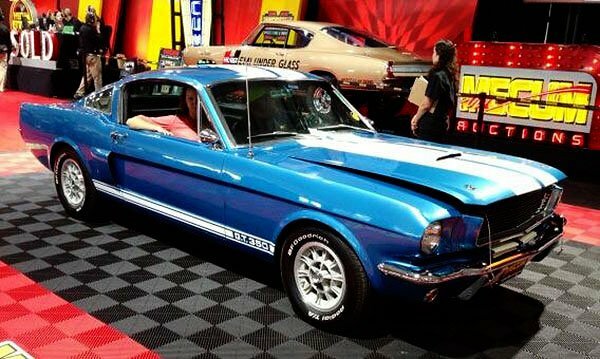 Coming back down to earth there was a 1966 Shelby GT350 that was sold last night for $147,500. That is still nice money and an indication that prices may be on the way up. Allard made race cars that were also very nice grand touring vehicles without the creature comforts. 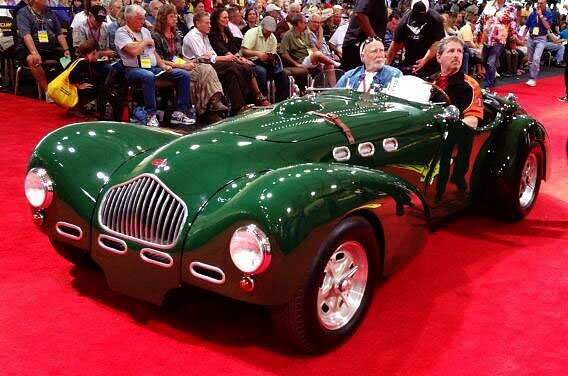 This one is very rare, a 1951 Allard K2 Roadster which sold at the Mecum Auction for $95,000. 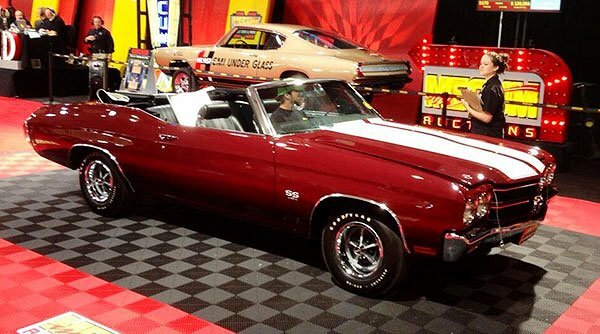 Cars On Line newsletter readers will be encouraged that a 1970 Chevelle SS 454 Convertible sold for $115,000. 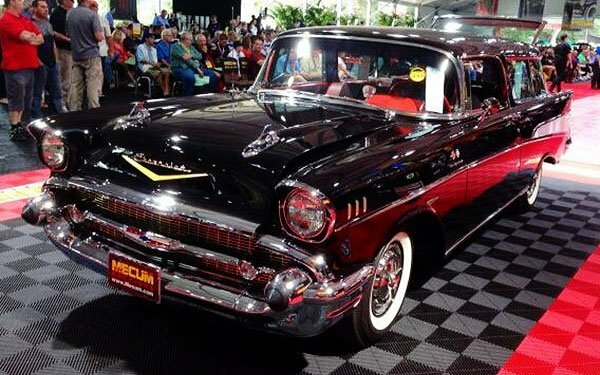 More the norm, here is a desirable black 1957 Chevy Nomad the sold at the Mecum Auction for $92,000. Why so much you ask? This one was a fuelie. 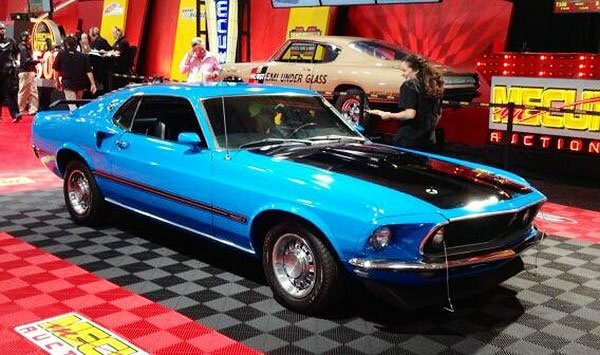 What does it tell us when a 1969 Mustang Mach 1 is sold for just $19,500? This is a lot of car for the money. Maybe the bidders were getting tired?